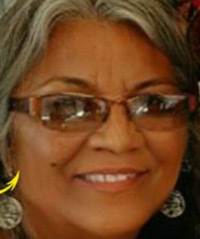 Nahrin is the full time ECE faculty member at Northwest Indian College. 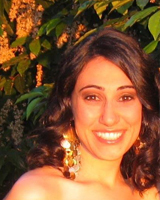 She began her teaching career as a Teach for America corps member in New Orleans, LA and has taught for NWIC as an adjunct ECE faculty member since 2009. Nahrin has been an excellent addition to NWIC’s faculty, providing students with high levels of support coupled with high expectations, in an effort to help them achieve their educational and professional goals. Cynthia carries the Indian name of Oomagelees from her maternal side of the family. Her father is Culaxten, James H. Wilson, from Lummi and her mother is Roberta Hunt Wilson, from the most northern Island of Vancouver. Cynthia is a Lummi Tribal member and currently works for the Lummi Nation Schelangen Division. She has worked in the education field for 30 years and enjoys working with children from the smallest to the oldest. 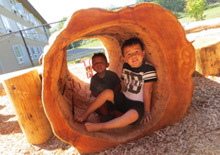 During many of these years, Cynthia worked at Lummi Nation School. She feels fortunate to have learned Lummi Language from her mentors and is proud to be able to share it with children and families in her community. Cynthia loves to share stories that have great lessons to live by and to see the expressions on the faces of the children when they are listening and learning. 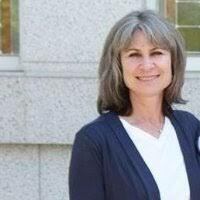 Cynthia received a Master of Education in Curriculum Instruction / Technology from Grand Canyon University and completed Northwest Indian College’s Award of Completion – Initial Early Childhood Education Certificate. Cynthia is committed to continuing her journey in education. Her teaching philosophy is to help children by strengthening their educational experiences and increasing their understanding of who they are. 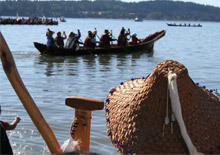 As a Tribal member of the Lummi Nation, Zach has lived on or around the Reservation his entire life. 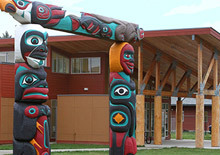 He graduated from Lummi Nation School and has taken college courses at Northwest Indian College, where he has been involved with the mathematics department for the past decade; his first five years were spent as a tutor and in the past five years, his involvement expanded to other areas such as teaching, mentoring, and coaching. 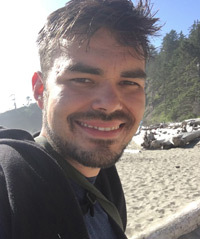 Zach has had opportunities to attend workshops facilitated by the Mathematics Education Collaborative (MEC), studying how to teach mathematics in a more humane way. Using what he has learned from MEC, his goal is to co-create a safe environment in which students actually learn math. He is part of the NWIC team that has adopted this pedagogy and has taught courses, including Elementary and Intermediate Algebra as well as Pre-Calculus, using these teaching methods. The coursework consists of inquiry-based mathematics using geometric relationships that center on an individual’s own identity. The coursework also focuses on building skills beyond standard mathematical skills, such as critical thinking, reasoning, confidence, teamwork, responsibility, and communication. Zach is committed to the belief that everyone is capable of learning and doing mathematics. Thayne is the STEM Education Outreach Coordinator at Northwest Indian College. He is a Navajo Tribal member and has worked with both Lummi and Navajo Tribal students. In 2015, Thayne received his bachelor’s degree in Multimedia Production and Design at Western Washington University (WWU). During this time, Thayne worked as a technology assistant at the WWU library and volunteered at the university’s Child Development Center. He has also served as a teacher assistant for the elementary summer school program at Lummi Nation School. After graduating from WWU, Thayne became a teacher at St. Michaels Indian School on the Navajo Reservation where he taught 11th grade Project Management, 9th grade Digital Media, 7th and 8th grade History, middle school Music, and 12th grade Theology. He also administered the school’s online learning management system and provided computer and technology assistance for both students and staff. After teaching at St. Michaels, Thayne obtained his Master’s degree in Instructional Design and Technology from Full Sail University and moved to Albuquerque, NM to pursue helicopter flight training. During this time, Thayne created and designed instructional media for his flight school at Vertical Limit Aviation. 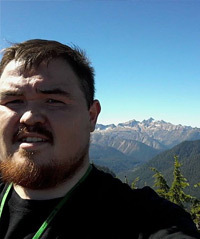 In 2017, Thayne moved to Bellingham, WA to work at Northwest Indian College at the Salish Sea Research Center. Since this time, Thayne has implemented STEM curriculum for PreK-12 classrooms and college students emphasizing the importance of Indigenous cultures and traditional knowledge. The curricula are built on the fundamentals of learning theories, which are based off cognitive load, behavioral learning theory, situated learning theory, and Gagne’s theory of instruction. In the curricula, students are engaged in hands-on activities and develop problem-solving skills, both individually and in groups, to bridge concepts within the classroom and real-life applications. Thayne’s philosophy is guided by the principle that all Native youth possess the innate ability to learn and become influential thinkers, life-long learners, leaders, and valuable members in their communities. This TCU ECE Project is supported by grants awarded to Northwest Indian College by the American Indian College Fund. The following TCU ECE Initiatives were generously awarded to the College Fund by the W. K. Kellogg Foundation: Wakanyeja “Sacred Little Ones” ECE Initiative (Grant# P3015070); Ké’ ECE Initiative (Grant# P3026203) and Restorative Teachings ECE Initiative (Grant # P3033148).